Precision medicine, a new way of delivering individualised treatments, is leading to major breakthroughs against one of Australia’s most common cancers. When Christopher Gordon first felt the pea-sized lump under his armpit, he decided to ignore it. It was 2006, he was just 35 and, as far as he was concerned, in rude good health. But as he would discover over the following years, a life can be hijacked, halted even, by something as apparently innocuous as a tiny swelling. Diagnosed with melanoma, one of the deadliest of skin cancers, he underwent surgery to remove the tumour, followed by three months of radiation in his native New Zealand. That was only the beginning of a long and arduous journey that would take him far from home in an effort to save his life. Six months after those first treatments, a CT scan revealed more lumps in his abdomen and in his back. Those tumours were growing quickly. “It was like a bombshell when they told me that the cancer had metastasised,” he recalls. The bad news continued. The flight attendant spent six months travelling back and forth to Los Angeles to participate in a promising drug trial but his tumours did not respond. Then he was told of another drug trial in Melbourne and, in late 2008, he met University of Melbourne Professor Grant McArthur and Lorenzo Galli Chair in Melanoma and Skin Cancers at the Department of Oncology at Peter MacCallum Cancer Centre. This time fortune would favour the brave New Zealander. Professor McArthur belongs to a band of medical pioneers which is revolutionising the way treatment is being delivered to patients. Dubbed “precision medicine” or “individualised medicine”, it works on the premise that every person is as unique on the inside as they are on the outside. Treatments are tailored to each patient, taking into account their individual variability in genes, environment and lifestyle. This approach harnesses the expertise of leaders in the fields of medicine, genetics, mathematics, pathology and technology. It represents teamwork at its best and it would take some time for Christopher to fully understand he was standing with innovators on the frontier of medicine. The story of the drug that would save his life began years ago at Plexxikon, a small biotech company in San Francisco. Its work centred on a gene called a BRAF, which helps regulate cell growth. After discovering that a mutated form of the gene was present in nearly half of all advanced melanoma cancers, researchers developed a drug that could turn off the mutant program caused by that mutated gene. Professor McArthur’s laboratory in Melbourne was among the first centres in the world to conduct clinical trials of the anti-BRAF drug. Patients’ responses to the drug were dramatic and the treatment is now a standard throughout the world. The possibilities in the field have fired Professor McArthur and the multi-disciplinary experts who support his clinical work. 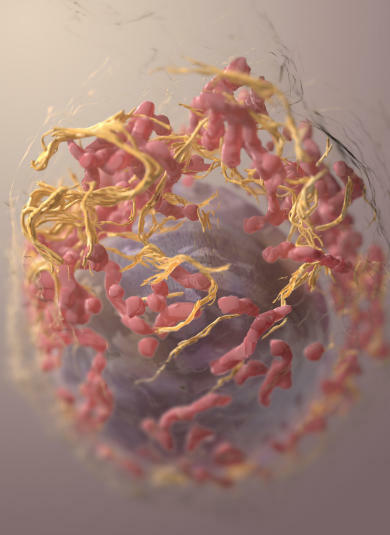 The treatment has significantly improved the prognosis for patients with advanced melanoma. Where the average survival rate was once nine months, it has now been extended to more than two years. 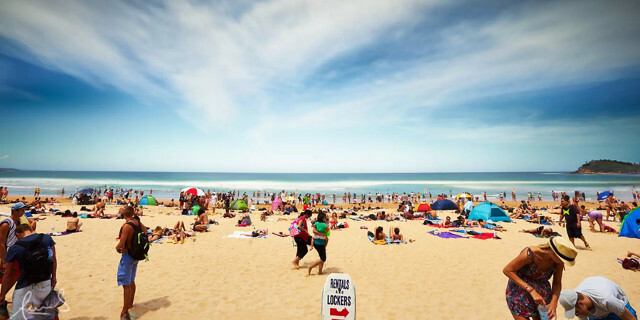 An estimated 1400 Australians die from melanoma each year and about 40 per cent of them have the BRAF mutation. “This means that 500 to 600 people now benefit from this treatment,” says Professor McArthur. “What is also important is that we are now rapidly identifying all the genes that are mutated or that change in cancers and are getting detailed catalogues of these. This new approach marks quite a departure from the old. 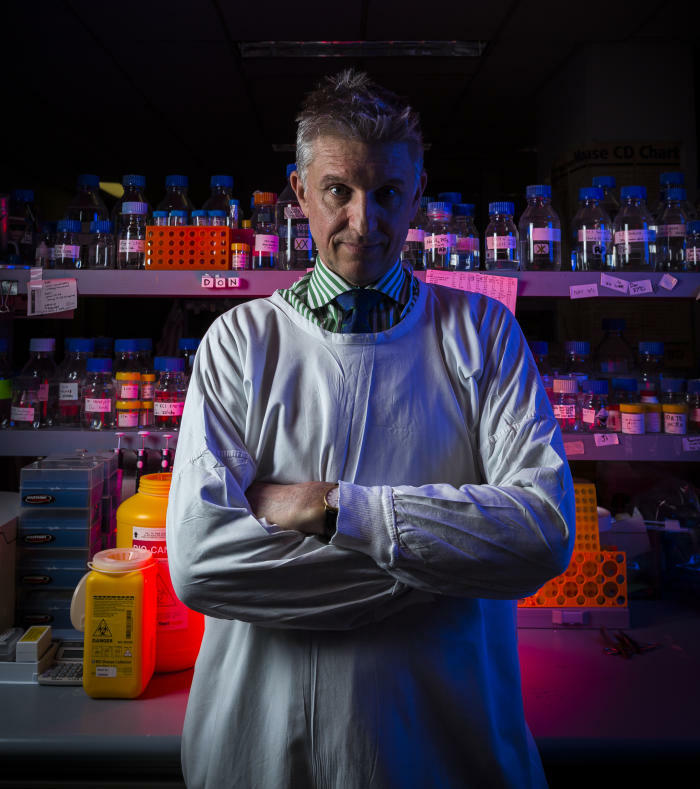 “The old approach was to develop cancer treatments in an empirical way, to look for drugs that could kill cancer cells, to test those drugs across all cancers and observe whether they work or not,” says Professor McArthur. The team is not resting on its laurels. “In many ways, the BRAF story was like picking low-hanging fruit,” he explains. “The real challenge is to be able to personalise treatment based on rare events that are occurring in patient cancer genomes. A critical element in this new world of precision medicine is genomics. 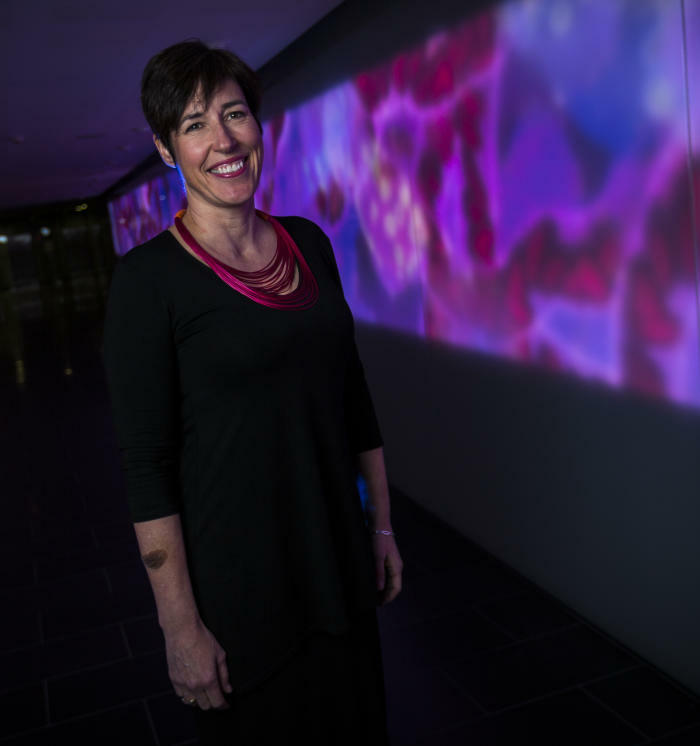 This is where the work of University of Melbourne Associate Professor Clara Gaff, Executive Director of Melbourne Genomics Health Alliance at the Walter and Eliza Hall Institute, comes in to play. While genetics is the study of one particular gene, genomics is the study of the complete genome, the full set of DNA, which gives doctors a better chance of finding gene changes associated with a disease or condition. “Knowing the genetic make-up of a person or a cancer can assist the clinician to make decisions about the patient’s management based on that knowledge,” she explains. “Doctors used to rely on information about the structure of the body, tissues and cells. Genetic and genomic tests offer more precise information about the cause of a condition or a cancer. The more precise the knowledge a clinician has, the more precise the diagnosis or treatment can be. It is estimated that 60 gigabits of storage is required to hold the data of one patient. Melbourne Genomics estimates that over the next three years an allocation in excess of 100 terabits could be required. Providing this technological framework is another piece of the precision medicine puzzle. 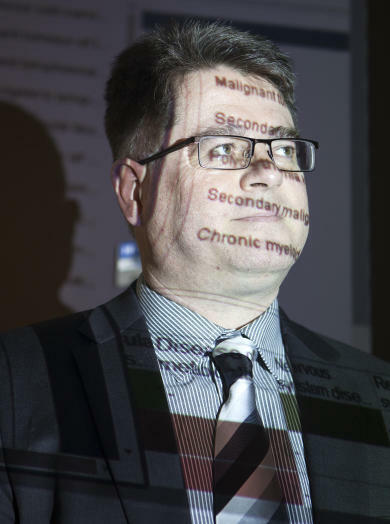 Dr Doug Boyle, Director of the Research Information Technology Unit at the University of Melbourne, is the brains behind key infrastructure that has been developed to access patient data across Australia so it can then be used by researchers to push back medical boundaries. He calls the technology GRHANITE, the GeneRic Health Network Information Technology for the Enterprise. One of its greatest innovations is its ability to record-link without any identity exposure. There are an estimated 7300 general practice surgeries around Australia and until the advent of GRHANITE, little or no GP patient data has been able to be captured for record-linked research purposes. So far, 650 of those practices have been linked with GRHANITE for the first time. This, says Dr Boyle, allows researchers to look at the whole care journey that patients have undertaken. It has been estimated that with proper integrated data analytics, healthcare costs could be reduced by as much as 30 per cent. A 10 per cent reduction would result in a cost saving of $1.5 billion in Victoria alone. As medical research advances, it will be increasingly common for the diagnosis, planning, pre-operative preparation, operation and post-operative care to be tailored to the individual. 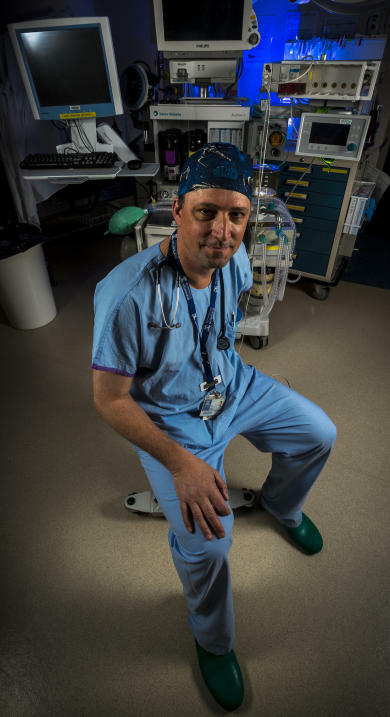 “Working as a multi-disciplinary team optimises a patient’s care,” says David Story, Chair of Anaesthesia at the University of Melbourne. Professor Story says diabetes is an obvious example of a risk factor. One in four patients admitted to many hospitals has diabetes and half are undiagnosed before admission. Precision medicine is an excellent strategy and philosophy. It’s an excellent way forward. 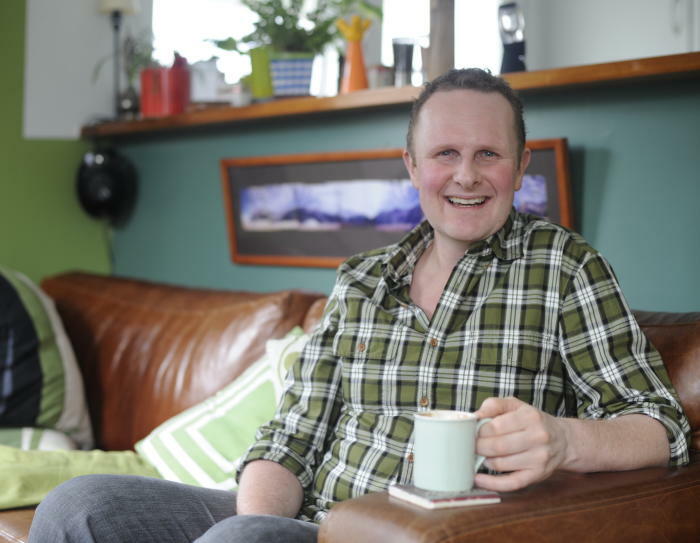 Christopher Gordon’s medical journey has not been easy but it has been successful. Once he was taking eight BRAF inhibitor pills twice a day, and almost three times as many to counter side effects.